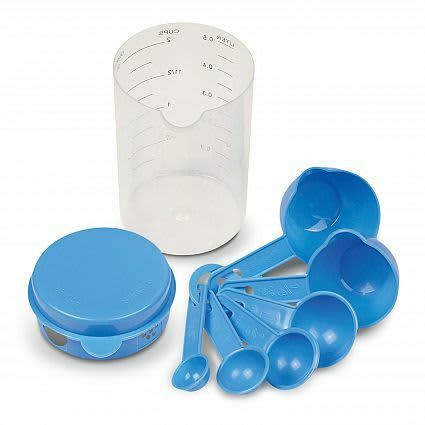 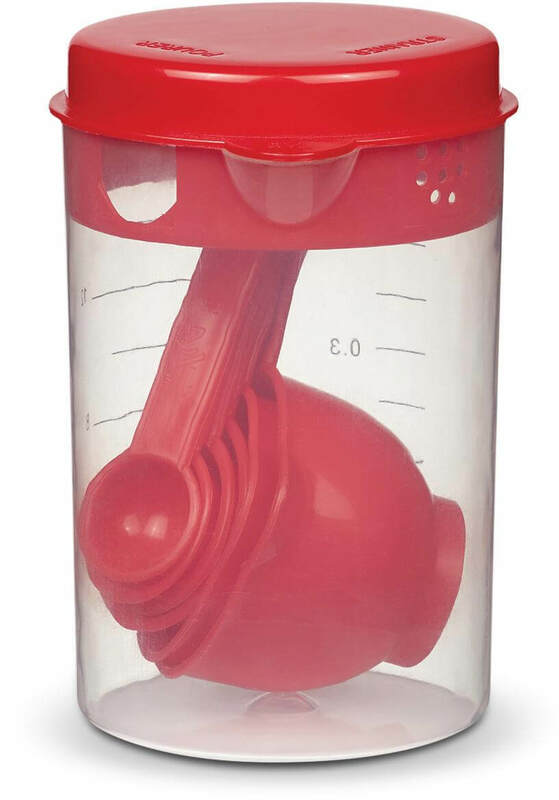 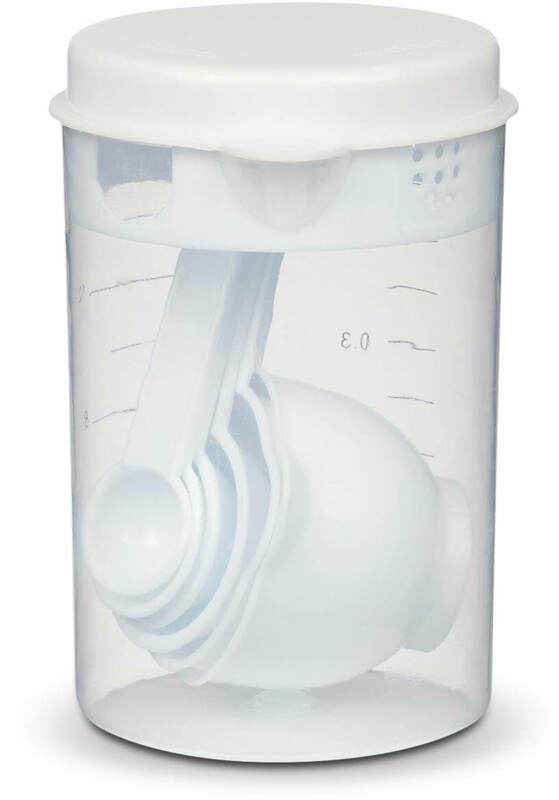 Seven piece self contained kitchen measuring set which features a container that holds exactly 2 cups of liquid and has both metric and imperial measurements on the side. 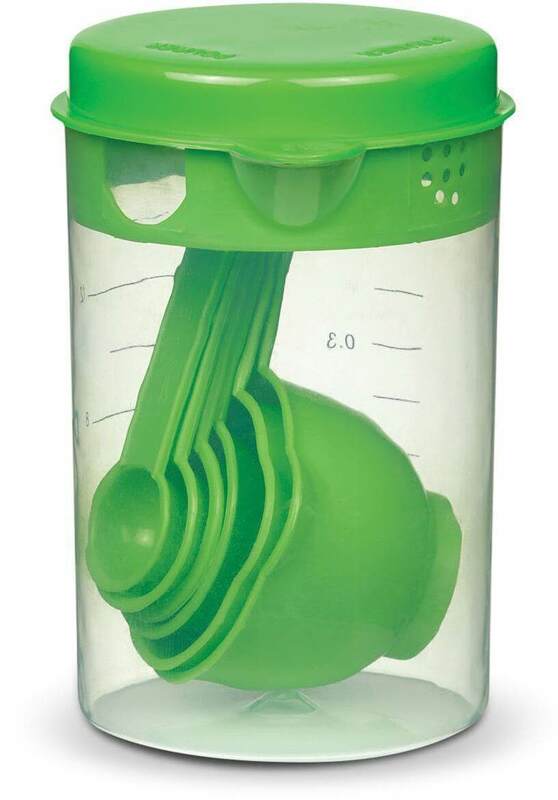 It also features a rotating three posion lid which offers ‘closed’, ‘pour’ and ‘strain’ options. 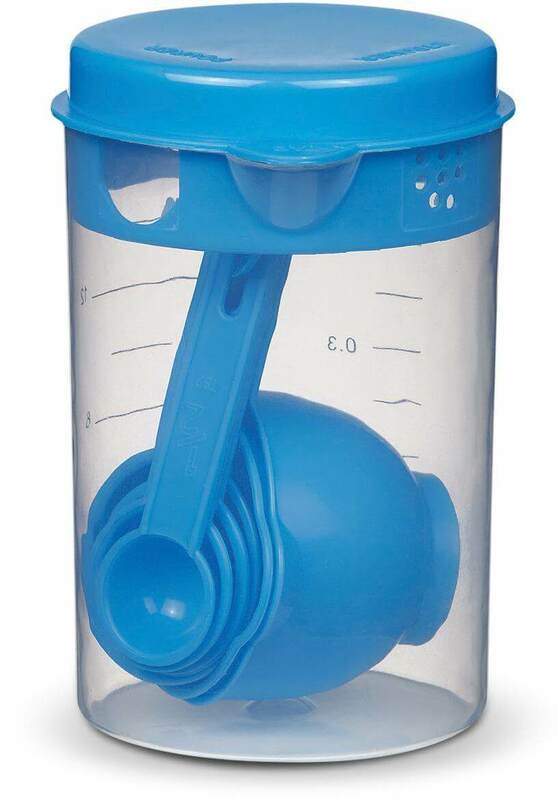 Stored inside are measures for half and quarter of a cup, one tablespoon, one teaspoon and half a teaspoon. 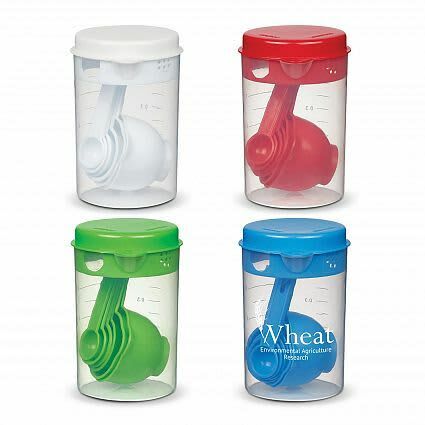 The set is manufactured from BPA free plastic, is FDA approved and hand washing is recommended.